Canada is poised to legalise recreational marijuana across the country this week, making it the first G7 country to do so. The Canadian Senate is due to vote on Thursday on bill C-45, which would legalise the use and purchase of marijuana for people over 18. The bill has already passed the House of Commons, and is supported by Prime Minister Justin Trudeau. The Senate has studied the bill for six months and is expected to pass it. Sales of legal cannabis will not be permitted until two to three months after the legislation passes, the country’s health minister has said. Canada would be the first of the G7 countries – a group of seven of the world’s largest economies – to legalise the drug nationwide. Some of the countries, including Canada, have passed legislation allowing marijuana for medical use. Several US states have legalised recreational use of the drug. Becoming a leader in legalisation could have major impacts on Canada’s economy. 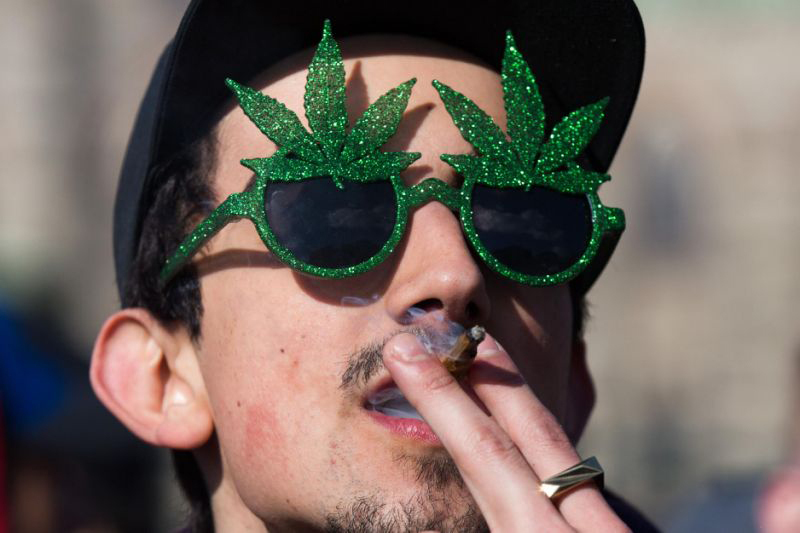 Legal marijuana is expected to me a more than $6bn business, according to a report by financial services company Deloitte, with $4.3bn coming from recreational sales and $1.7bn from medical. Legal cannabis will be heavily regulated, however. Under guidelines from Canada’s public health agency, marijuana products will be sold in plain packaging with limited branding. Packaging will include a yellow health warning and a red stop sign indicating that the product contains cannabis, as well information on the particular strain and THC content. Under the current legislation, adults will only be allowed to carry up to 30g of dried cannabis. Exceeding this amount in a public space – including an individual's own vehicle – will be punishable by up to five years in prison. Driving under the influence of cannabis will also be highly punishable. The current proposal puts the penalty for a first offence at a minimum $1,000 fine, with a minimum of 30 days imprisonment for a second offence. Third and subsequent offences will be punishable by a minimum of 120 days. The details of the legalisation effort will be handled at a provincial level. Some provinces, for example, plan to ban home cultivation of marijuana, even though the current legislation allows for it on a federal level. Provincial law also varies widely on smoking in public, according to CTV News. "We've had to amend our zoning here in the city in order to accommodate retail stores, we've had to adjust our business licensing, and amending our smoking and vaping bylaw," Matt Zabloski, the City of Calgary's project lead for the legalisation of cannabis, told CBC News. He added: "There's a myriad of other effects, we're looking at events and festivals and just really preparing to make sure people know what's coming down the pipe."